First Nations law student Christina Gray has been wrangling with the Law Society of Upper Canada since April, after she asked to wear her traditional button blanket to her call ceremony. When Christina Gray is called to the bar in Ontario on Tuesday, she'll be the only law student wearing a woolen red-and-black button blanket and cedar hat — instead of black barristers' robes which is the common practice for soon-to-be lawyers. In fact, she'll be the first candidate ever in Ontario to wear First Nations regalia. "I hope it sends a clear message to other First Nations students: you don't have to feel disconnected from your community and who you are," says Gray. Gray is mixed Tsimshian/Dene/Metis heritage and has been wrangling with the Law Society of Upper Canada since April, after she asked to wear her button blanket to her call ceremony. The Law Society rejected her request, saying the blanket could only be worn after the ceremony, as it interfered with a longstanding tradition of wearing barristers' robes. "Candidates are traditionally required to wear robes because the ceremony is officially a session of the court," says Susan Tonkin of the Law Society of Upper Canada. "It mirrors what barristers wear in court, and the idea is to make everyone equal, so nobody stands out." In recent years, the Law Society has allowed cultural items — such as hijabs, turbans, head scarves and eagle feathers — to be worn along with the robes at the ceremony. The Law Society invited Gray to speak to their decision if she had questions, but Gray was disappointed by the initial response. "Aboriginal Peoples have been left out of the conversation in creating the laws of Canada," says Gray. "When they said I had to wear the barristers' robes, I felt that it was an impediment to recognizing Aboriginal Peoples and our laws." Christina Gray will be the first candidate ever in Ontario to wear First Nations regalia when she receives her call to the bar on Tuesday. 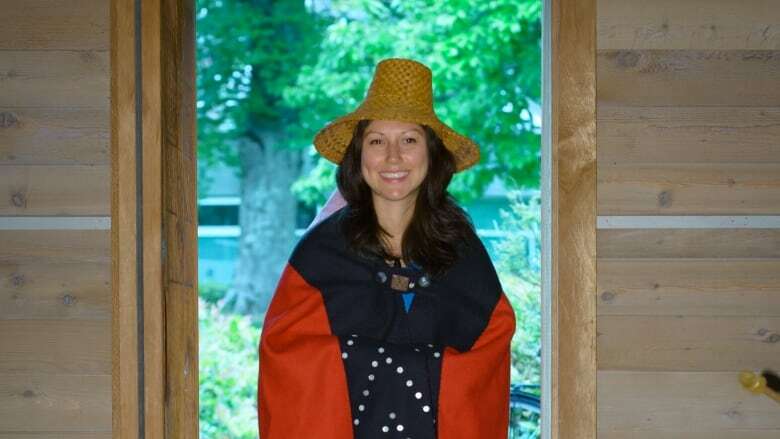 (Supplied)Gray, 32, is from the Lax Kw'alaams First Nation in northwestern British Columbia, where button blankets are an important part of the potlatch system. During feasts, chiefs and matriarchs typically wear a button blanket, vest or tunic, and a cedar hat or headdress. "When we have our feast and wear the blanket, it represents to everyone at the feast where we come from and which family, clan, house, and tribe we're part of." Gray is a member of the Gispewada (Killer Whale) clan. Her hand-sewn blanket is adorned with a killer whale, and was designed by her cousin. She says the blanket represents ayaawx, which are Tsimshian traditional laws, precedents and ways of being. In a letter to the Law Society, she quoted academics Doreen Jensen and Polly Sargent who argue the button blanket is a "coded legal document" which "proclaims heredity rights, obligations and powers." Gray graduated from law school at the University of British Columbia in 2013. She says she felt fully supported in wearing her blanket to the convocation ceremony. 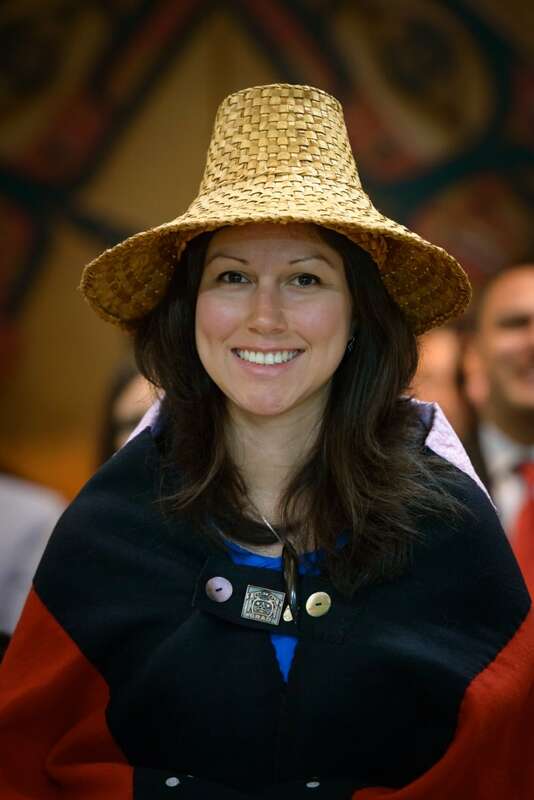 After the initial rejection from the Law Society, Aboriginal Legal Services of Toronto, her principal advisor Emily Hill and the Lax Kw'alaams First Nation made submissions on Gray's behalf. 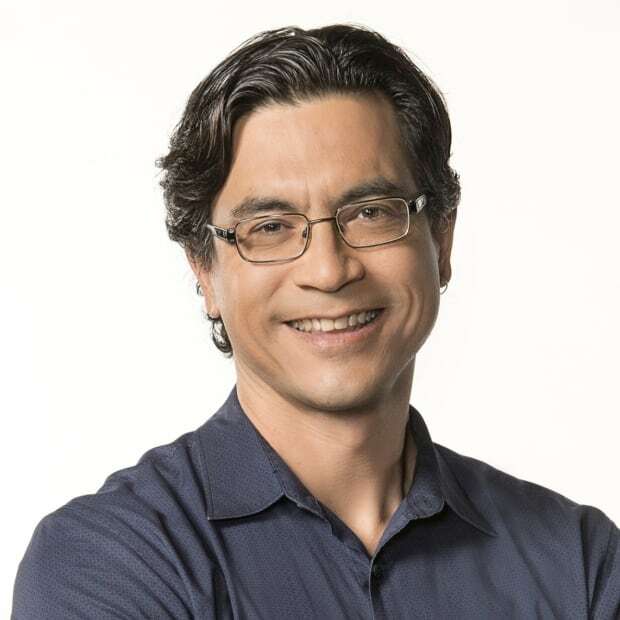 "Surely there must be space in our legal pluralistic society, and specifically within the realm of our profession, to celebrate and embrace indigenous legal traditions within those traditions of common law," wrote Christa Big Canoe and Johnathan Rudin of Aboriginal Legal Services Society of Toronto in a letter to the Law Society. After consideration, the Law Society agreed to honour Gray's request to wear the button blanket, saying it appreciates the dialogue. "We learned about the importance of the regalia, and its relevance to legal and cultural traditions," says Tonkin. "It reflects our commitment to diversity and reconciliation." Gray felt "vindicated" after the decision. "It sends a very strong message to the profession that legal pluralism is the world that we live in now." Gray's mother and aunt will attend the ceremony on Tuesday. After successfully completing her articles last fall, and her bar exams this spring, Gray hopes to practice in the area of aboriginal law.